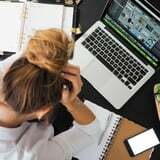 Generalized anxiety is one of the most common ailments in our society, affecting 40 million adults ages 18 years or older in the United States today. The odd part is is how taboo it still feels. It is common to focus on this issue as something that is “in our heads,” and part of that is true – things like yoga, meditation, and exercise really do provide relief. However, with such a large chunk of our population suffering from a variety of symptoms attributed to anxiety, it is important to look at the environment or physical aspects. Finding a solution in a natural supplement was a big relief, and when I added it to my daily diet and felt results, I was grateful. A lot of what initiates this type of fearful thinking has to do with the balance (or lack thereof) of chemicals in our bodies. As someone who has gone in and out of anxiety-ridden bouts, I started to take action myself and look into things that might be missing from my day-to-day diet or life that may help keep my body and mind in check. I felt like sorting through the foundation of the problem and finding a natural relief was the smartest way to approach solving this issue. Turns out, after some research, I found nutritionists, doctors, and therapists who have all recommended taking magnesium supplements. I already took vitamins daily, but this extra boost of such a vital mineral ended up being a huge game changer when it comes to fighting anxiety. Magnesium, like all vitamins, is ideally obtained through eating magnesium-rich food. Foods like sunflower seeds, almonds, shrimp, spinach, and avocados are high in it, but sometimes the way things are grown or processed may have a different effect on how our body absorbs it. This is where having a magnesium supplement can help. Magnesium supports the regulation of cortisol levels (or stress hormones), so it is vital mineral in our diet for keeping such emotions in balance. 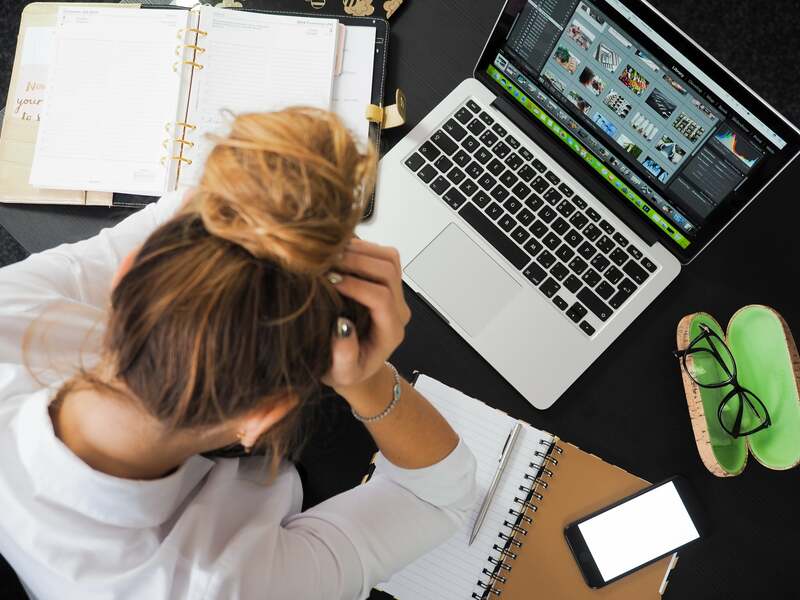 Studies have shown that it seems to have an effect on our hypothalamic-pituitary-adrenal (HPA) axis, the glands that are associated with stress. Additionally, 90 percent of serotonin (the feel-good hormone) is made in the gut. Since this hormone is usually known as a brain transmitter, many don’t realize that its production begins in our stomachs. This means that gut health is of utmost importance when it comes to fighting anxiety, depression, and stress. However, when magnesium levels in the gut are low, it can change the habitat of the ecosystem in our stomachs and, therefore, negatively affect our capability of creating serotonin, keeping us in that feeling-low/anxious zone. So, not only does magnesium regulate stress hormones, but it also helps to create the happy ones. I was personally never comfortable with added medication and all the side effects that come with it into my body to help fight my anxiety. Once I started doing the necessary research into finding natural ways to help fight it and keep it at bay, I found magnesium as an option. Once I made that a part of my diet, I could feel the positive effects it had on my body and mood. Of course, different things work for different people, so it is always wise to discuss such contributions to your diet with your doctor. However, my personal experience made me a believer, as I felt more leveled and at ease even when life factors like work contributed to stress. I pair my magnesium supplement (one a day) intake with other anxiety-fighting remedies as well, such as taking probiotics and fiber (to help keep that gut health in check), exercise, eight-plus hours of sleep, stretching, and dry brushing (I’m telling ya, sometimes the little things can work too! ), and so far, I’ve found a great recipe that allows me to feel comfortable, happy, and well. You can also get magnesium through Epsom salts while soaking in a bath if taking a pill is not of comfort to you. Ultimately, it is important to take a proactive stance on your own diet, lifestyle, triggers, and stressors when it comes to managing anxiety. But it is also important to go back to the basics of our bodies and learning how they function. Finding a solution in a natural supplement was a big relief, and when I added it to my daily diet and felt results, I was grateful. As always, talk to your doctor and/or therapist, but this is one remedy you can feel good about trying and will likely be able to enjoy its positive effects!